Citi has really been on a roll lately. They have been aggressively offering sign-up bonuses, targeted offers on cards, generous retention earnings and have revamped much of their product line. Today they announced a new co-branded card called the Citi AT&T Access More Card. While the press release was a little light on facts, thankfully I was able to dig into the terms on their website to learn more. Sign up for the card and spend $2,000 with the first 3 months. Activate and maintain service with AT&T for at least 15 days. If you are in the market for a new phone this is probably a fantastic sign-up bonus. You can get the phone off contract and take it to any carrier you want after paying for only 15 days of service. Earn 3X ThankYou® Points for every $1 you spend on purchases made online at retail and travel websites. Earn 3X points for every $1 you spend on products & services directly purchased from AT&T. Earn 1X points for every $1 you spend on other purchases. “Retail websites are websites that sell goods directly to the consumer through an online website and include department store websites, specialty store websites, warehouse store websites and boutique websites. This seems like a really solid card. If it ends up earning 3x at certain online retailers like say GiftCardMall, this could be a real game changer. We will of course have to wait and see what happens there. As for the bonus, you are paying a $95 fee upfront and receiving a $650 bonus (if you maximize it.) A $555 bonus is very good and definitely worth a sign-up in a lot of situations. (Of course you do have to pay for 15 days of service and tax as well.) The combination of earnings potential and bonus is very appealing. Also don’t forget that you get 10,000 bonus points after $10k in spend each year which offsets the annual fee. 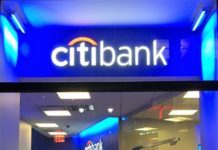 There is no doubt that Citi is really being aggressive in the marketplace with the revamp of old cards and the addition of new ones. The fact that this card earns ThankYou points is huge and the 3x on online purchases has the potential to be a gamechanger! I’ve had the Att universal card which gives 5x for Att purchases. This one only gives 3 . For new applications I wish they would bring that back . does this Thank You points combine with the Prestige TK points ? Yes you can combine these with Prestige points. The only issue with combining Citi TY points is that points expire 60 days after you cancel the card they were earned with. Even if you transfer these to Prestige, they would still expire 60 days after canceling this account. IME (years worth) multiple TYP cards for one person earn in the same “account” so there’s no transfer (as for Amex MR) so no 60 day expiration. Wow. This really could be a game changer. Setting aside the very generous $650, the spend categories are very complementary with other cards. Effectively 3-4x (after $10k spend) on all (most?) online retailers, and with a flexible currency at that, would be amazing. To some extent it depends how broad their “Retail Website” definition is. If it encompasses Amazon, it would be a no-brainer for me. Worth mentioning that a combo with the currently very popular Citi Prestige card would turn those 4x into 6.4% cash on American Airlines. Yes could be big. I like that it accrues TY points. Wow, I didn’t think of the GiftCardMall angle! I guess we’ll have to wait and see how this develops. @Shawn — I see on Citi’s offer page that you can “buy a new phone from AT&T, at full price and with no annual contract.” Your post then mentions that “You can get the phone off contract and take it to any carrier you want after paying for only 15 days of service.” I interpret your statement as saying the phone is unlocked and can be used on, for instance, T-Mobile, is that correct? I wouldn’t have necessarily assumed that a phone “with no annual contract” (as AT&T describes it) is the same thing as an unlocked phone. Perhaps I’m mistaken, or perhaps you have more information about that — would you be able to clarify? Great info and analysis. Thanks. Are you adding this to your next batch of cc applications? Curious to see the final cost on the phone and the time frame involved etc. I am definitely considering it. I would like to find out some more about the card and which phones are available. If it as good as it sounds right now then I probably will. You need to have the phone activated and on service for at least 60 days for the phone to be unlocked, per AT&T’s unlock page. Which essentially brings down the credit even more after the $95 annual fee, activation charges, and 2 months of prepaid service. Couple of thoughts after reading your comment. By canceling service after 15 days and paying a 3rd party to unlock the phone we’d save money. That is of course if this is even possible per At&t t&c. The MS opportunity of this card may very well be worthwhile even if it comes without any sign up bonus. I’m hoping more data points roll in with this offer over time. As Anthony mentioned you can generally pay a couple of dollars to have a phone unlocked. With that said, I would wait until we have more info about which phones are available and how much they cost. When that information is public we can then judge what our actual cost will be including unlocking the phone. I know this thread has been dead for a while, but I used this promo and I’m now almost at 60 days of service with AT&T and I’m looking to unlock my phone and switch to cheaper provider. Have you Shawn or anyone else gone through this process already, or know the right steps and timing to get this (iPhone) unlocked? Thanks! Does this card earn 3x at giftcard mall or giftcards? I read no on giftcards. Not sure about giftcard mall.